A new biography of Bobby Kennedy documents his obsession with Communist Cuba while he served as U.S. Attorney General in the administration of his brother, President John F. Kennedy (1961-1963). In the summer of 1960, through an internship from Grinnell College, I was an assistant to the Chair of the Democratic Party of Iowa and, therefore, was thrilled with John F. Kennedy’s election as president. Cuba, however, at that time was not high on my list of priorities and I was not knowledgeable about U.S.-Cuba issues. Thus, in April 1961 I have no memory of the Bay of Pigs debacle in the last semester of my senior year at Grinnell. In October 1962 my ignorance of U.S.-Cuba issues continued during the start of my second year at Oxford University as the Cuban missile crisis unfolded. But I do recall listening to radio reports of these events and wondering whether they would lead to my being drafted and forced to return to the U.S. for military service. That, however, never happened. My interest in Cuba only began in 2001 when I was on the Cuba Task Force at Minneapolis’ Westminster Presbyterian Church to explore whether and how our church could be involved with Cuba. The result was our establishment in 2002 of partnerships with a Presbyterian-Reformed Church of Cuba in the city of Matanzas on the north coast of the island and with its national denomination. Thereafter I went on three mission trips to Cuba and started to learn about the history of U.S.-Cuba relations, to follow the current news on that subject and to become an advocate for normalization and reconciliation of our two peoples. Larry Tye, Bobby Kennedy: The Making of a Liberal Icon, Ch. 6 (Random House, New York, 2016). There are seven blog posts about Joseph Welch, the attorney for the U.S. Army in the McCarthy-Army hearings of 1954, that are listed in Posts to dwkcommentarires—Topical: UNITED STATES (HISTORY). The Cuban missile crisis has been the subject of the following posts to dwkcommetaries.com: Fidel Castro and Nikita Khrushchev’s Messages During the Cuban Missile Crisis of 1962 (Sept. 5, 2016); Conflicting Opinions Regarding the Relative Strength of U.S. and Soviet Missiles, 1960-1962 (Nov. 2, 2016); Fidel Castro’s Disingenuous Criticism of President Obama Over Nuclear Weapons (Aug. 15, 2016). Robert Kennedy, Thirteen Days: A Memoir of the Cuban Missile Crisis (W.F. Norton & Co., New York, 1969). See these posts to dwkcommentaries.com: My Grinnell College Years (Aug. Aug. 27, 2011); Encounters with Candidates JFK and LBJ (Apr. 16, 2011). Another post to dwkcommentaries.com: My Oxford University Years (Aug. 30, 2011). My many posts about Cuba are collected in List of Posts to dwkcommentaries—Topical: CUBA. Many U.S. citizens who welcomed the last two years of U.S.-Cuba normalization are worried about whether that policy will be continued by the future Trump Administration. 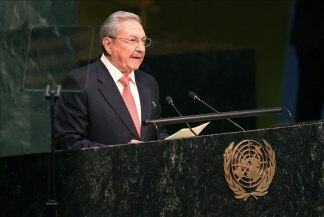 Therefore, examination of past comments about Cuba by prospective members of that future administration is appropriate. Here is such an examination. A prior post recounted the responses to the death of Fidel Castro from President-elect Donald Trump, Vice President-elect Mike Pence, prospective White House Chief of Staff Reince Priebus and Trump aides Kellyanne Conway and Jason Miller. The basic conclusion of their remarks was that Mr. Trump would be seeking a better deal with Cuba than the Obama Administration had negotiated. Additional negative views about U.S.-Cuba rapprochement are found in comments by others in the prospective Trump Administration. Trump’s nominee for Secretary of State, Rex Tillerson, however, has not expressed an opinion on U.S.-Cuba relations. Only tangential clues turn up. For example, Tillerson has negotiated multi-billion dollar deals with Putin and Kremlin-confidant Igor Sechin, the head of a Russian state-owned oil company who has negotiated oil deals with Cuba. But at ExxonMobil’s May 2014 annual stockholders’ meeting, Tillerson said the company had no plans to participate in Cuban deposits development by Russian oil major Rosneft because of U.S. sanctions against Cuba. Basic Internet searches about the following members of Trump’s team failed to find any comments about Cuba: General James Mathis (Secretary of Defense), Vincent Viola (Secretary of the Army), Steven Mnuchin (Secretary of the Treasury), Wilbur Ross (Secretary of Commerce), Todd Ricketts (Deputy Secretary of Commerce), Nikki Haley (U.N. Ambassador) and Jeff Sessions (Attorney General). The above analysis of commentaries by members of the Trump team regrettably suggests a dim future for continuation of normalization of U.S.-Cuba relations. Those of us in the U.S. who believe that this is an erroneous move need to continue to advocate for normalization and to share that opinion with our Senators and Representatives, the Trump Administration and our fellow U.S. citizens. 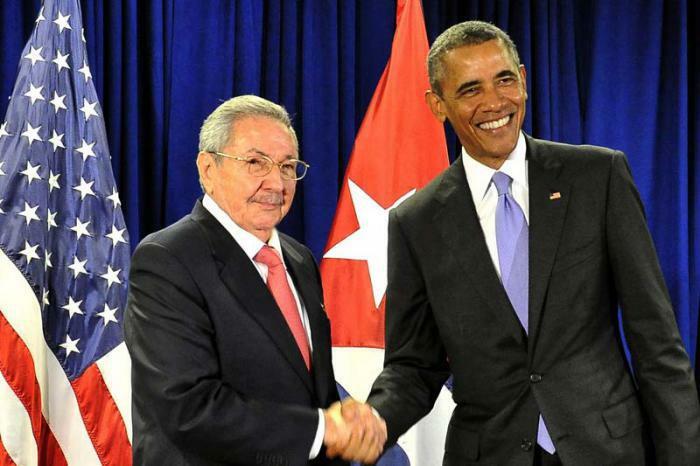 Claver-Carone, Obama’s Cuba policy makes bad situation worse, Miami Herald (Nov. 16, 2016). Pompeo, Rep. Pompeo Responds to Shift in Policy with Cuba (Dec. 17, 2014); Pompeo, Independent Journal Review: Mr. President, There Is A Reason No U.S. President Has Visited Cuba for 88 Years (Mar. 21, 2016). Carden, The Real Reason to Worry About Gen. Michael Flynn, Nation ( Nov. 18, 2016); Totten, How Trump’s General Mike Flynn Sees the World, World Affairs (Nov. 30, 2016). Schoen & Smith, Why Rex Tillerson would be a disaster as Secretary of State, FoxNews (Dec. 13, 2016); ExxonMobil says not to cooperate with Russia’s Rosneft in Cuba, Prime Bus. Net (May 29, 2014). Tillerson’s close relationship with Sechin is covered in MacFarquhaar & Kramer, How Rex Tillerson Changed His Tune on Russia and Came to Court Its Rulers, N.Y. Times (Dec. 20, 2016) and Kashin, Rex Tillerson’s Special Friend in the Kremlin, N.Y. Times (Dec. 22, 2016). Assoc. Press, Cuba to attend security conference with US for first time (Jan. 12, 2016); U.S. Dept Defense, Department of Defense Press Briefing by General Kelly (Mar. 12, 2015); Lockhart, A Conversation with General John F. Kelly, SOUTHCOM Commander (Oct. 15, 2015); O’Toole, Here’s What America’s Longest-Serving General Most Fears, Defense One (Jan. 11, 2016). Ordońez, Trump’s been inconsistent on Cuba. Will Castro’s death make a difference? McClatchy DC (Nov. 26, 2016). As always I invite comments pointing out errors of commission or omission. No similar searches were done for Ryan Zinke (Secretary of Interior), Rick Perry (Secretary of Energy), Andrew Puzder (Secretary of Labor), Ben Carson (Secretary of Housing and Urban Development), Tom Price (Secretary of Health and Human Services), Betsy DeVos (Secretary of Education), Scott Pruitt (Administrator of Environmental Protection Agency), Linda McMahon (Administrator of Small Business Administration), Seema Verma (Administrator of Center for Medicare and Medicaid), Stephen Miller (Senior Advisor to President for Policy), Gary Cohn (Director of National Economic Council), Mick Mulvaney ( Director of Office of Management and Budget) and Don McGahn (White House Counsel). On December 18, Raúl Castro, the President of Cuba’s Council of Ministers and Army General, issued on state television a Declaration regarding the first anniversary of U.S.-Cuba rapprochement. 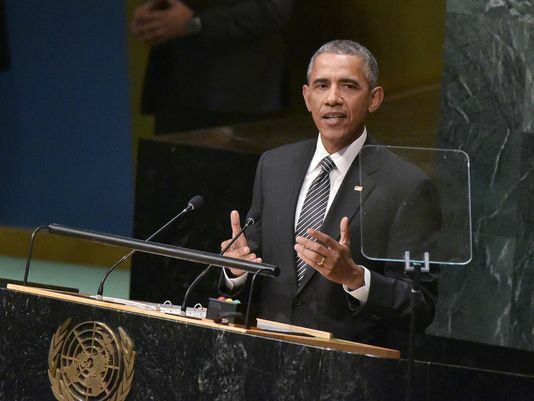 Second was the U.S.’ continued statement it “has no intention to change the status of” the Guantanamo Bay Naval Base. Although Castro has a different tone on the failure of the U.S. to terminate certain policies, his Declaration agrees substantially with the other comments about the first anniversary that were discussed in yesterday’s post. It is good to know that he vows to continue with the slow process of normalization and with transforming the Cuban economy. Except for Cuba’s desire to terminate its lease of Guantanamo Bay to the U.S., I agree with the Declaration’s calls for the U.S. to end the embargo, the so-called democracy promotion programs of the U.S. Agency for International Development (USAID), the Radio and TV Marti broadcasts to Cuba and the preferential immigration policies for Cubans. On November 10 the U.S.-Cuba Bilateral Commission held its second meeting, this time in Washington, D.C.
After the meeting, Josefina Vidal, Cuba’s head of North American affairs, told reporters that agreements on flights, environmental protection, direct postal service and the fight against drug trafficking are very likely by the end of the year. Granma, the Cuban newspaper, also reported that the Commission agreed to continue exchanges on human rights, maritime and port security, application and enforcement of law, climate change, migration, human trafficking and health (including confronting pandemics and infectious diseases). The first Commission meeting was held in Havana this past September as discussed in a prior post. The next meeting will be next February in Havana. U.S. State Dep’t, United States and Cuba Hold Second Bilateral Commission Meeting in Washington, D.C. (Nov. 10, 2015); Cuban Foreign Ministry, Press release issued by the Cuban delegation to the second meeting of the Cuba-US Bilateral Commission, Washington, November 10, 2015 (Nov. 10, 2015); Assoc. Press, Cuba: Agreements on flights to US Likely in Coming Months, N.Y. Times (Nov. 10, 2015); Reuters, Pact for U.S.-Cuba Flights Seen by Year-End: Cuban Official, N.Y. Times (Nov. 10, 2015); Gomez, Cuba and the United States come to concrete agreements, Granma (Nov. 10, 2015). Whitefield, Banking woes ground some charter flights to Cuba, Miami Herald (Nov. 8, 2015).